Bread - Friend or Foe? 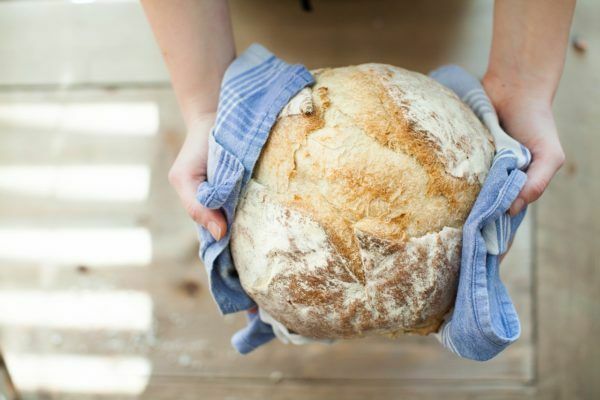 Bread – Friend or Foe? Canada’s Food Guide states that adults should eat 6 to 8 servings of grain products every day. For those needing to lose a lot of weight and following a low-calorie meal plan, the minimum is 4 servings. Bread is an excellent candidate (1 slice = 1 serving), provided you select breads that are low in fat and sodium, and with no added sugar. “Whole wheat bread“: Choose breads made with 100% whole grain or sprouted grain flour. Each slice (30 to 45 g) should contain approximately 4 g of protein and 2 g of fiber, and no more than 3 g of fat and 200 mg of sodium. “White bread“: In this case, each slice (30 to 45 g) should contain approximately 3 g of protein and 1 g of fiber, and no more than 2 g of fat and about 150 mg of sodium. So, bread is not a food foe, as it provides high-quality fuel for our brain and muscles. Even people with diabetes can enjoy bread in their diet, provided it is eaten within balanced meals, which is what you get with our weekly Meal Plans!